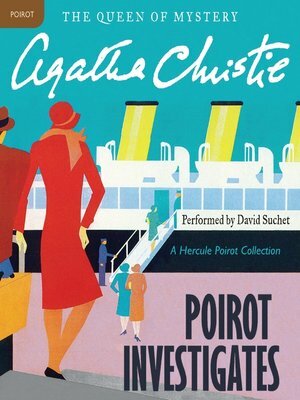 Poirot Investigates a host of murders most foul—as well as other dastardly crimes—in this intriguing collection of short stories from the one-and-only Agatha Christie. First there was the mystery of the film star and the diamond . . . then came the "suicide" that was murder . . . the mystery of the absurdly cheap flat . . .a suspicious death in a locked gun room . . . a million dollar bond robbery . . . the curse of a pharaoh's tomb . . . a jewel robbery by the sea . . . the abduction of a prime minister . . . the disappearance of a banker . . . a phone call from a dying man . . .and, finally, the mystery of the missing will.